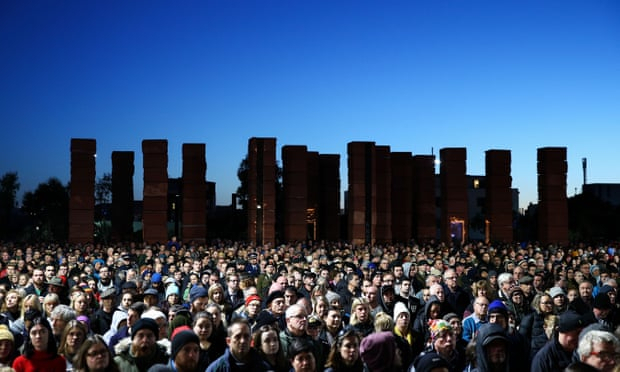 More than 50 Anzac events and parades have been cut in New Zealand’s largest city at the request of police, as the country’s terror risk remains high in the wake of the deadly Christchurch mosque attacks, Guardian reports. Police have asked Auckland Returned Serviceman’s Associations (RSA) to “consolidate” their events, with the total number reduced from 84 last year to 26 this year, allowing officers to better protect large crowds in attendance. Auckland is New Zealand’s largest city and home to more than 1.6 million people. In the wake of the Christchurch attack it has been suggested that large Anzac crowds could provide an easy target. A statement from Auckland Council confirmed the reduced services was a direct result of the Christchurch attacks. “In the current heightened security environment, police have agreed to maintain a visible presence at events for public reassurance,” the statement read. New Zealand police assistant commissioner Mike Rusbatch said it was important to note that police had “no information” to indicate a threat to any Anzac service. “However in the current environment it is important that members of the public attending Anzac events remain vigilant,” Rusbatch said, adding the police presence at services would be high and visible. Last month a lone gunman shot dead 50 people at two mosques in central Christchurch, prompting the country’s counter-terrorism department to raise the country’s threat risk to high for the first time ever. A high terror risk means “a terrorist attack is assessed as very likely”, according to the prime minister’s office. Many RSA’s voluntarily cancelled their planned commemorations in the days and weeks following the mosque attacks, but others have now done so to comply with police requests. A spokesman for RSA said there had been no cancellations in other parts of the country, or plans for a beefed up security presence. On Tuesday United Nations refugee chief Filippo Grandi warned that the Christchurch mosque attacks were the result of the worst toxicity in politics and media toward refugees, migrants and foreigners that he had witnessed in more than 30 years. “I have never seen such toxicity, such poison in the language of politics, in media, in social media, even in everyday discussions and conversations around this issue,” Grandi told the UN Security Council. Thirteen people shot in the Christchurch mosque attacks remain in hospital, as reports emerge that some families of the killed and injured are struggling to access financial support promised by the Labour coalition government in the days following the worst mass shooting in New Zealand’s modern history.